In today's rapidly changing business landscape, culture is central to a company's ability to innovate. Employees must be able to embrace change and uncertainty, and be empowered to think and act with curiosity, courage and creativity. This forms the foundations of a culture of innovation and a meaningful employee experience. To foster a culture of innovation, organisations need to get to the heart of why employees behave in certain ways, are empowered in certain areas and disengaged in others, and then use this knowledge to spark ideas for delivering greater impact. Click here to access your guide. 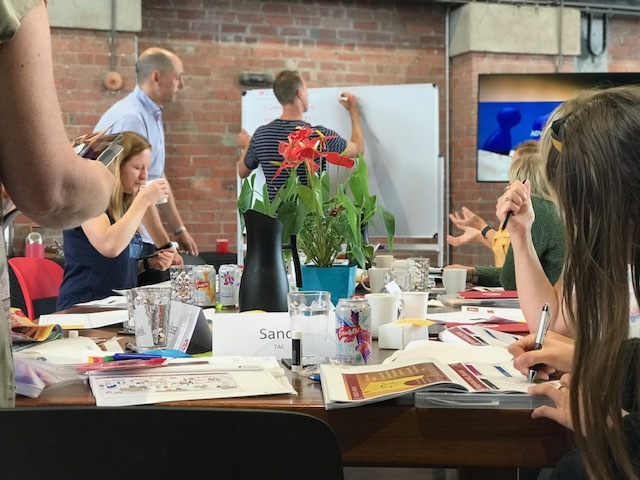 With it’s human-centred focus, Design Thinking is the perfect framework for understanding employees and harnessing this knowledge to develop a robust culture. Design Thinking uses a combination of research, empathy and creativity, along with a structured process to co-design solutions that truly reflect employee needs and drive innovation. To discuss how a Design Thinking approach can support your projects, please email info@g2innovation.com.au phone us on (03) 9020 7341.